I cloth diapered my daughter until she turned 2. At 37 lbs, she didn’t fit into her diapers anymore as most cloth diapers only go up to 35 lbs (and unfortunately my entire stash). Not being willing to spend another couple hundred dollars on fancy extra-large cloth diapers I would only be able to use for another couple months, I decided to return to disposables. I hate using these “sposies” because of the toxic chemicals, drying agents, dyes, and fragrances that they contain and are absorbed by my poor daughter’s delicate skin. Their enormous contribution to our landfills doesn’t sit well with me either. I experienced a lot of mom-guilt when I quit cloth diapering, but I know that I can’t control everything in life, I have to pick my battles, and my child will be OK! 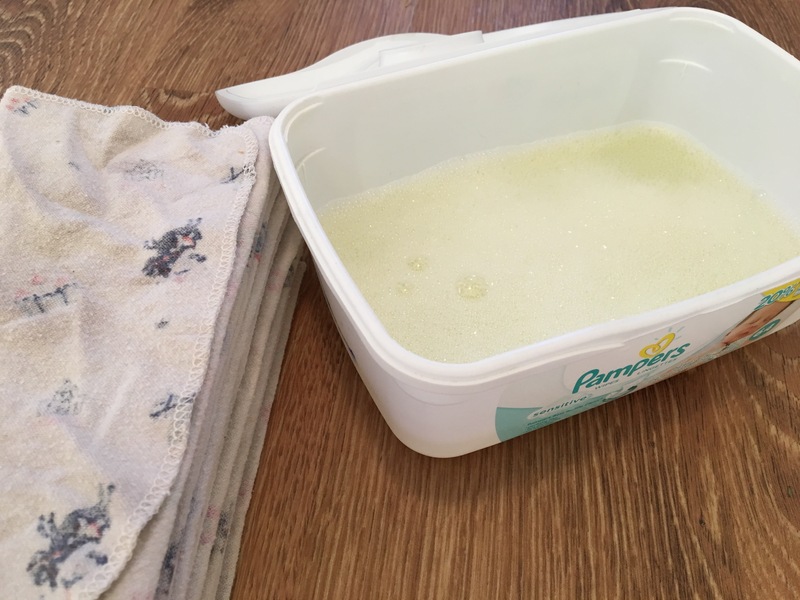 Continuing to use cloth wipes with DIY wipe solution gave me a little peace of mind, knowing that I was putting something on my baby’s bottom that is not only GOOD for her skin, but actually creates a barrier and PROTECTS it from the potentially harmful chemicals in her sposie. 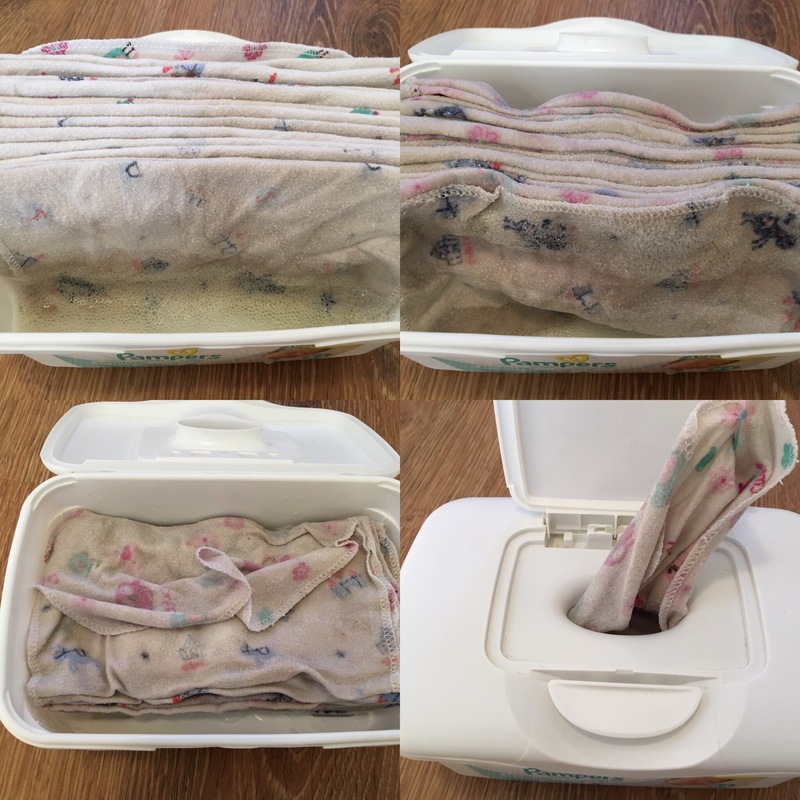 Fold your wipes in an accordion fold; so that they fit nicely into the container and when you pull each one out, the next one comes out with it. I use about 20 wipes (that’s why it’s nice to have 40 so you can make another batch while the first one is in the wash). 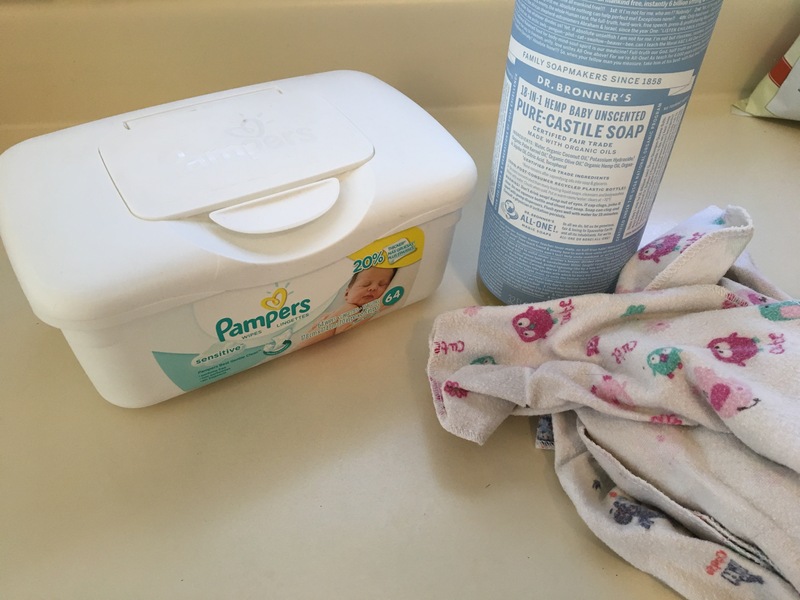 Lay the pile of wipes on its side in the container, so that each wipe absorbs a bit of the liquid. After a few seconds, turn it around so the other side absorbs liquid. Lay the wipes down flat in the container. A little water should come out when you push down on the wipes, but there shouldn’t be excess water in the container. Wipes that are too wet don’t work as well. I guarantee you will love this solution. 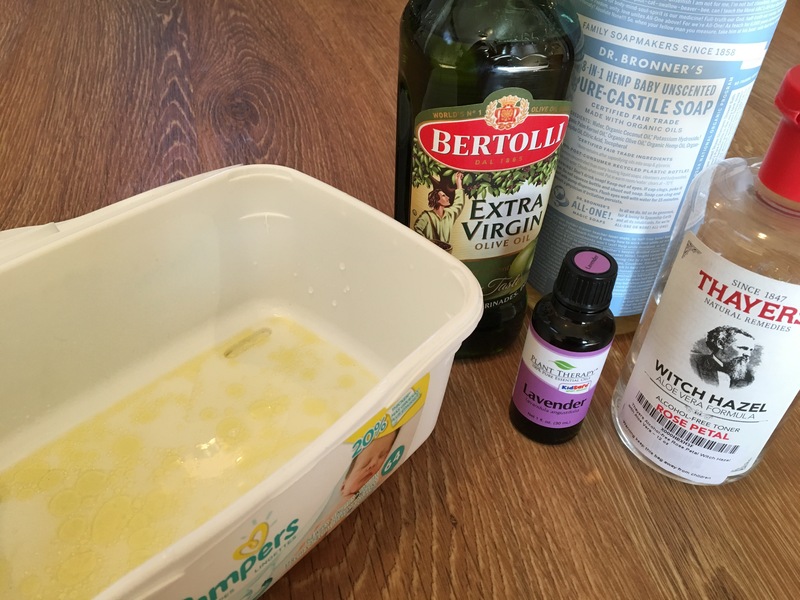 The castile soap cleans, the olive oil moisturizes and creates a barrier, and the witch hazel and lavender heal and soothe. Once you’ve got this down, the next step in natural non-toxic baby care is DIY diaper rash cream! So easy and cheap! Post coming soon!